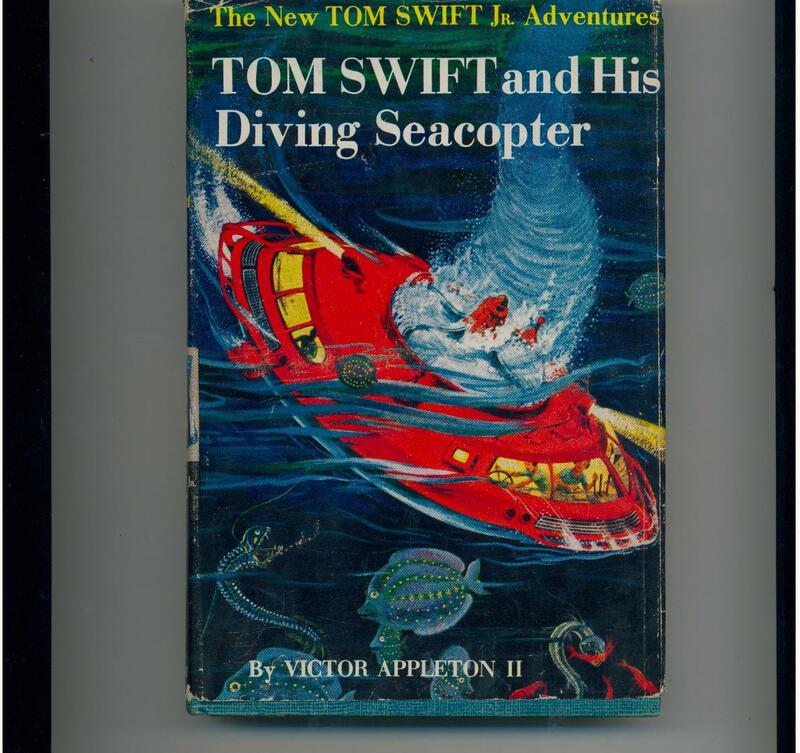 TOM SWIFT AND HIS DIVING SEACOPTER by Victor Appleton II Grosset Dunlap, dated 1956, prob. '60s Condition: VG in Good dj This is the 7th title in the New Tom Swift Jr. Adventures series. Illustrated by Graham Kaye. Illustrated endpapers. Top corners bent, toned pages, not much else wrong with book. Jacket is torn and taped on back, causing some creasing, spine has shorter tears and chip at ends; front cover and flaps mostly ok. Title is uncommon in jacket.